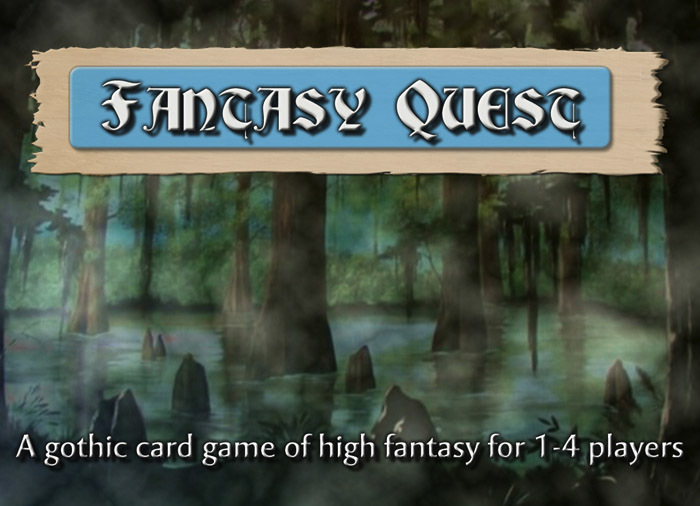 This is a BGE digital conversion of the "Fantasy Quest" card game, by Ninjadorg. "Fantasy Quest" is a non-collectable card game with 378 cards. 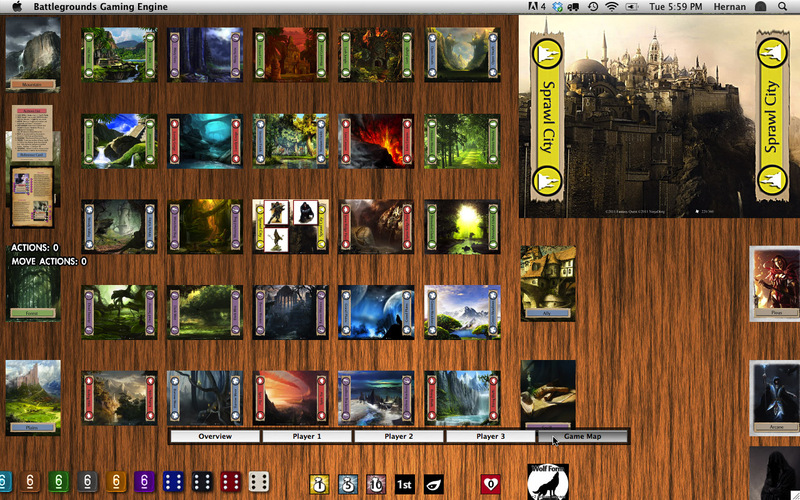 It is technically still in the beta testing stage of development, and an updated rulebook is currently in the works. A card game of high fantasy with a gothic edge, where 1-4 players, working individually or together, must adventure forth to develop their heroes and save the land from a growing evil. In their journey through a dark world of magic and peril, they will visit strange places, stranger people and overcome powerful enemies in their quest to discover mysterious artifacts, mystical spells and ancient treasures. Follow each hero's tale from modest beginnings through an epic story to an exciting climactic battle for the fate of the world. Time is of the essence because with every night that passes, the land slowly "Falls into Gloom" and terrible things begin to happen. 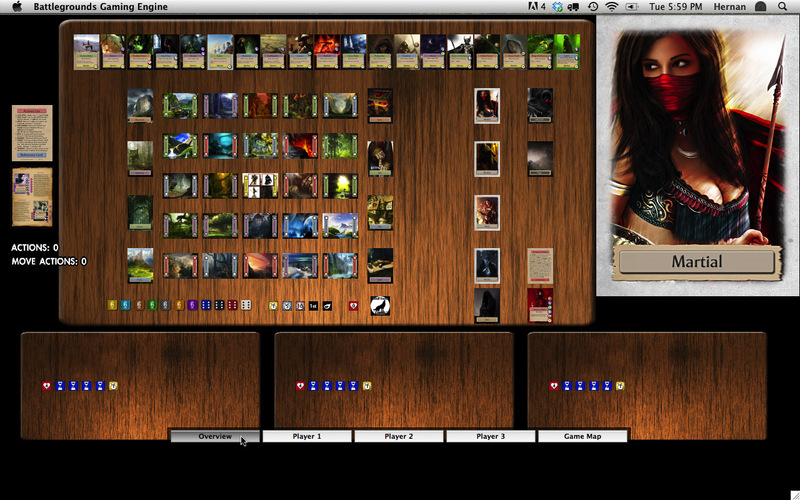 Fantasy Quest can be played either Competitively or Cooperatively, and is also perfectly suited for Solo play. Edit: This file is no longer available, at the request of the designer, because the game has been extensively redesigned and published. The above download contains everything needed to play the game if you already have at least one Gamer Client license (BGE v1.0 or higher; BGE v1.2 is recommended). For multiplayer games, the extra players will need a Gamer Client of their own, or they can play using the free BGE Demo if the host has enough free Player Slots available for them to use. Installation instructions are included in the download, as is the game's rulebook. 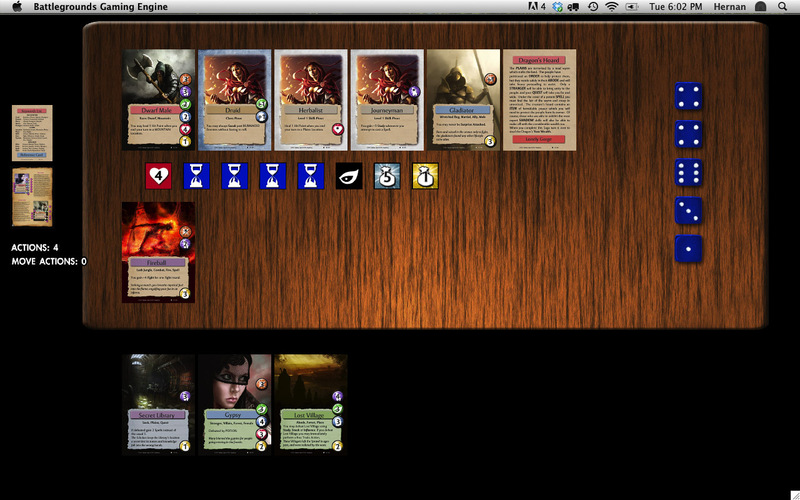 "This game sets out to distill an epic fantasy RPG into a game playable in under 2 hours. In this, it succeeds magnificently." Last edited by heruca on Wed Nov 02, 2011 1:31 pm, edited 1 time in total. Sorry, looks like part of the OP was accidentally deleted during an edit. Thanks to the Wayback Machine, I was able to find the original text and restore it. There's currently a Kickstarter campaign running to get this game into print, with redesigned components. The designer has requested that I pull the file, now that the game has been published. I edited the OP to reflect this.